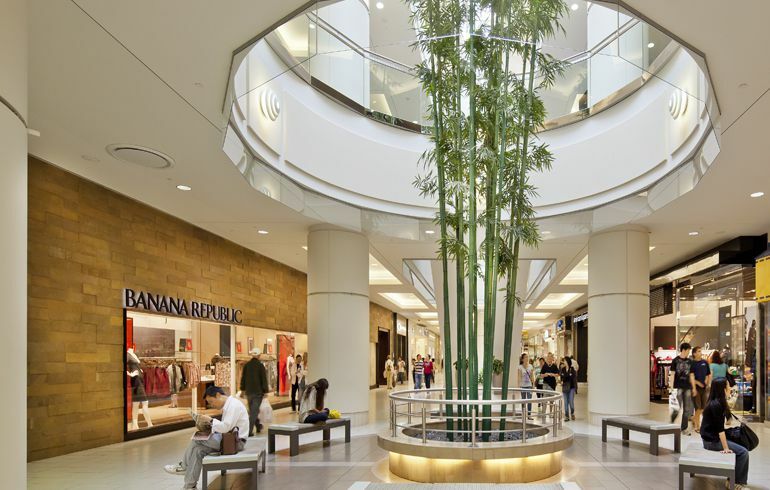 With over 375 shops and services, Metropolis at Metrotown is the biggest and best destination in the province of British Columbia for every sense of style - and lifestyle. From sporting goods to beauty boutiques, fashion to footwear, there's something for everyone, starting with Kate Spade, UNIQLO, MUJI, H&M, Zara, Coach, Apple, Michael Kors, Lululemon, Pandora, Nespresso, and Aritzia. Pay your way! Select retailers and our Guest Services now accept WeChat Pay, AliPay, Google Pay and Apple Wallet in addition to cash, Interac, Visa, Mastercard and American Express. If you are visiting Metropolis at Metrotown from outside Metro Vancouver, present your out-of-town* driver's license or passport to one of our Guest Service centres and receive a complimentary VIP Visitor Shopping Experience Package: a reusable shopping tote and VIP Visitor Metrocard that provides 5% to 30% discounts at participating retailers listed in our VIP Visitor Shopping Experience brochure. *Visitors must present a valid photo ID and proof of residence outside Metro Vancouver. Limit of one VIP Visitor Shopping Experience package per visitor, while supplies last. Spend $350 or more and receive a bonus gift! Simply visit Guest Services with your same-day receipts to redeem for a gift. The more you spend, the bigger the gift! ** Visitors must present a valid photo ID and proof of residence outside Metro Vancouver. Limit of one bonus gift per visitor, while supplies last. No exceptions. Same-day receipts must total $350 or more, before taxes. Offer does not apply to gift card purchases at Guest Services. All offers expire December 31, 2018 or while quantities last. Metropolis at Metrotown reserves the right to change promotion without prior notice. Pre-register your group (10+ people) for a shopping trip with Metropolis at Metrotown and enjoy some group perks! We’re just 15 minutes by SkyTrain from downtown Vancouver and if you’re driving, parking is free. BY CAR – At Kingsway between McKay and Nelson. From HWY 1 take the Willingdon South exit, turn left on Kingsway. Park in one of the 8000 free parking spaces. BY SKYTRAIN – Catch the Skytrain at any Lower Mainland location. Get off at Metrotown Station. BY BUS – Metrotown Station is a major bus loop with buses coming in from all over the Lower Mainland. 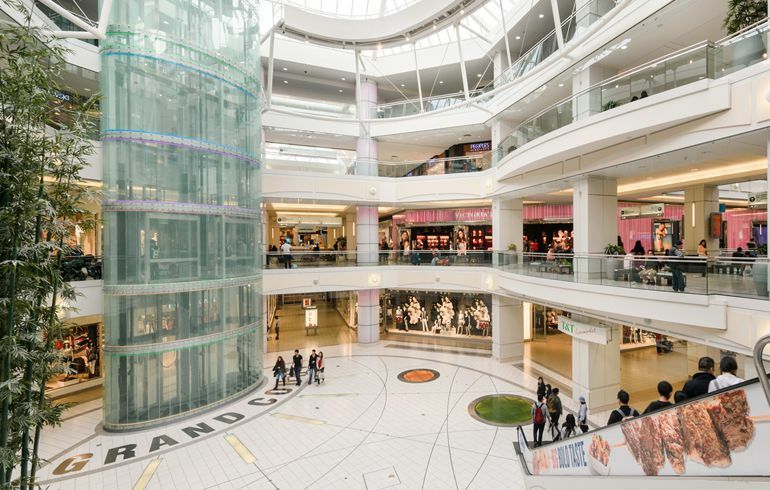 Whether you are travelling for a few days, or a quick day of shopping, Metropolis at Metrotown is your shopping destination. Metropolis at Metrotown is located in Central Burnaby, B.C., in the geographic centre of the Greater Vancouver Regional District. Burnaby is located just outside of downtown Vancouver. It has evolved from a bedroom community to an urban centre with lots to offer, from unique shopping areas, theatre productions, sports events, and wonderful restaurants, to the beauty and recreational offerings of Burnaby Lake Regional Park, Deer Lake and Burnaby Mountain.